We make all of our videos available to the public at no cost. The first step to translating our videos to another language is to transcribe the spoken word into English text. 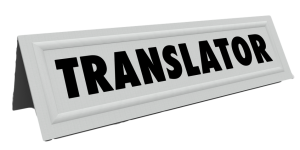 Once transcribed, the videos may be translated into any language. We use a simple, user-friendly, web-based system that allows you to select a video from a list of and work on that project to completion. -Teachable and able to work with a team leader. As a Compass Video Translator, you should never use your affiliation with Compass- finances God’s way to promote or influence the sale of any investments or financial services or professional services. Compass- finances God’s way does not endorse, recommend, or sell any financial investments. No one may use their affiliation with Compass to promote or influence the sale of any financial products or services. Compass- finances God’s way does not give specific investment advice.